These kids dining sets are all eco friendly and made from biodegradable Bamboo Fibre. 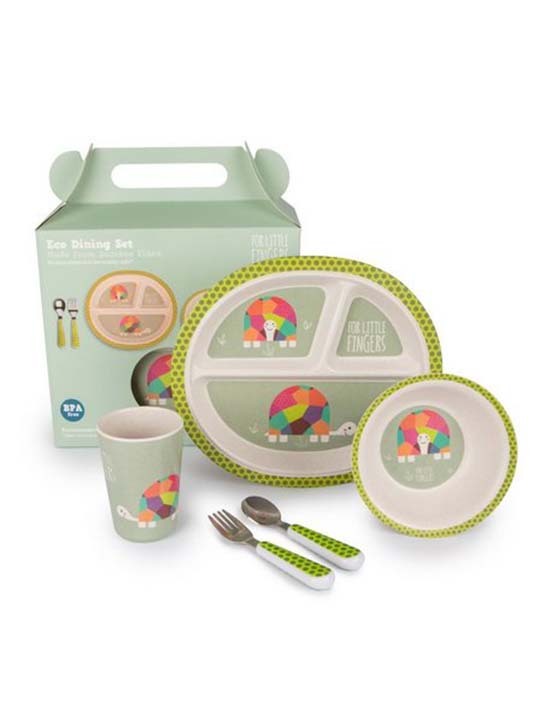 This pack contains a divided plate, bowl, cup, knife, fork and spoon. This is the ideal christening, birthday or Christmas gift. They are all dishwasher safe, BPA & Phthalate free.